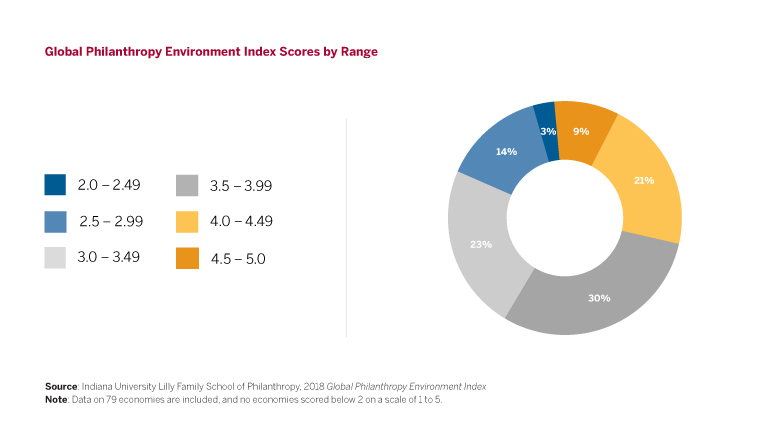 The 2018 Global Philanthropy Environment Index is the world’s largest and most comprehensive effort to document the state of global philanthropy and the factors that enhance or inhibit its success. The index was previously the product of the renowned Hudson Institute, under the title The Index of Philanthropic Freedom. Accessible version of the following map. The above interactive map shows the overall assessment of each country’s philanthropic enabling environment on a scale from 1.0 to 5.0. A total of 79 countries and economies across 11 geographic regions were studied, including 22 new economies added since the last report was published in 2015. The Global Philanthropy Environment Index global average score is 3.64. Covering the period between January 2014 and March 2018, the report evaluates 79 countries and economies across five key factors that measure the ease with which philanthropic organizations can operate, as well as policies that affect giving—both within countries and across borders. This includes in-depth research on the incentives and barriers that individuals and organizations face when donating to social causes or institutions within a certain country or abroad. Two-fifths of the 79 countries and economies included in the report have a restrictive philanthropic environment, while about three-fifths of the environments are favorable to philanthropy. At a time of significant challenges and political uncertainty around the globe, our ability to achieve development goals and respond to crises through philanthropy demands the type of insights included in this report. 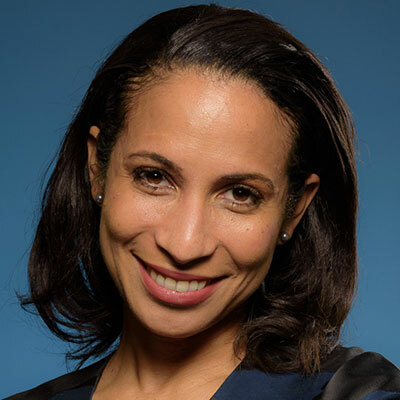 In addition, the Global Philanthropy Environment Index features the contributions of more than 100 country- and region-level experts who provide rich, contextual narratives that analyze the unique political, sociocultural, legal, and regulatory environment of each country studied. To improve the global state of giving, it is crucial to understand the factors that enhance or hinder its success. Prior to the release of the first global report in 2015, limited research existed on the ease of philanthropic giving across the world. The Global Philanthropy Environment Index provides a new baseline for global philanthropy that will serve as a benchmark for the future and start conversations that will illuminate the differences and nuances in the ways philanthropy can be approached and is growing.